Hey Iurie! It’s so nice to meet you! Frankly, we wish we were able to travel to Iceland and spend the day with you, but a virtual interview will have to do. We have so many questions for you, so let’s kick this off! 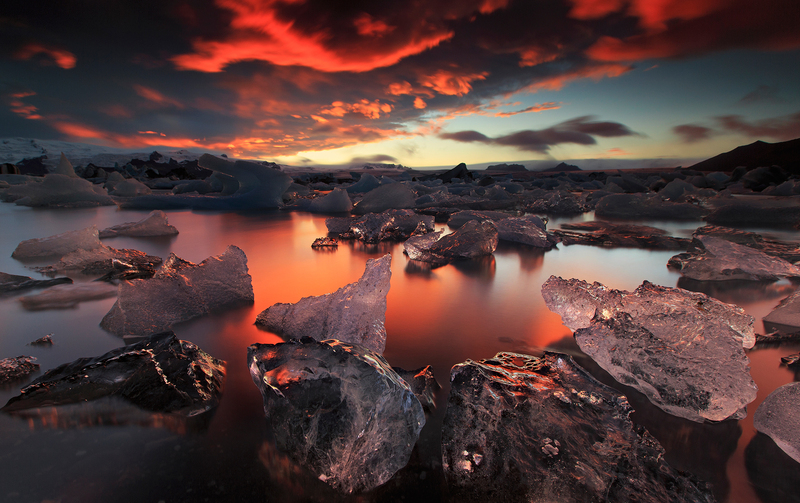 Iceland is currently a very popular photo destination for photographers. What is one thing that is not commonly known about Iceland that visitors should know before arriving? I guess everyone knows how beautiful Iceland is. But the weather can be unpredictable and it is not always like fairy tales in this island. It is important to do a lot of research about weather conditions, road conditions, etc., before coming here. If you have no patience on studying every location, get a local tour operator who knows the ins and outs of this island. 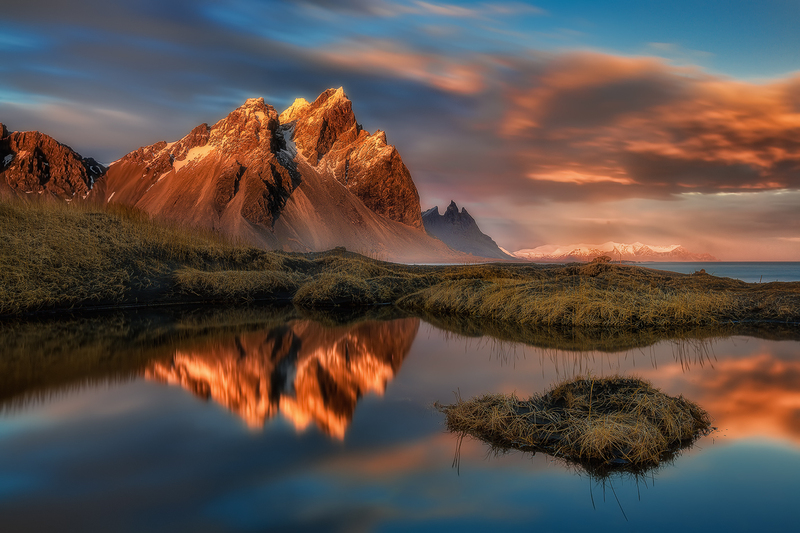 Speaking of which, you’re the lead photography guide in a very well known company, Iceland Photo Tours. What does a typical day look like for you? Well, it depends. When I am on tour and as soon as I open my eyes, I check the sky and weather forecast to gauge where will we shoot for sunrise. Then I meet my group based on the agreed call time and we start driving. When we are in the locations, I help everyone with good composition and camera settings. When everyone is settled and enjoying their shooting, I again start organizing the itinerary for the day based on weather conditions, including restaurant reservations. We usually shoot until night time, with of course some break along the way the next location. That is why also, I make sure that I get a really spacious bus to let our guests relax and unwind after every shoot. 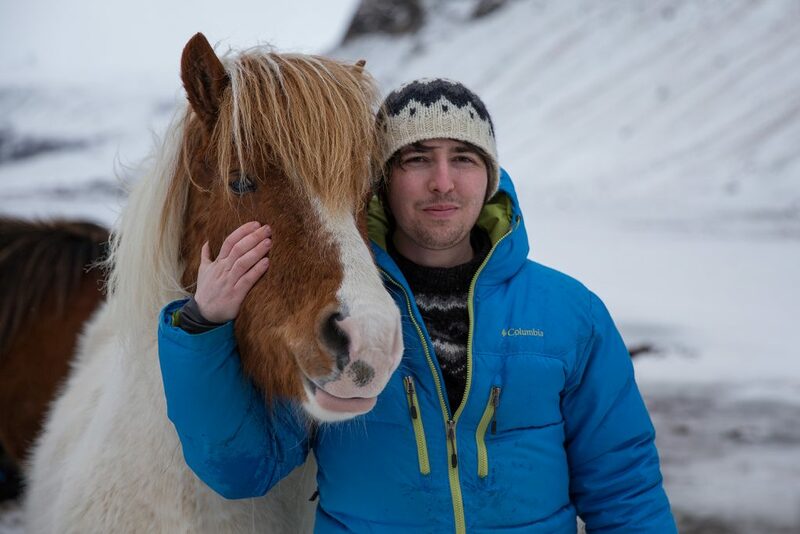 You’re also the co-founder of the popular platform, Guide to Iceland. Where did the idea come from and inspired you to create this? The idea came from our passion to share the best of Iceland. It’s the same as what also drove me to be a photographer. 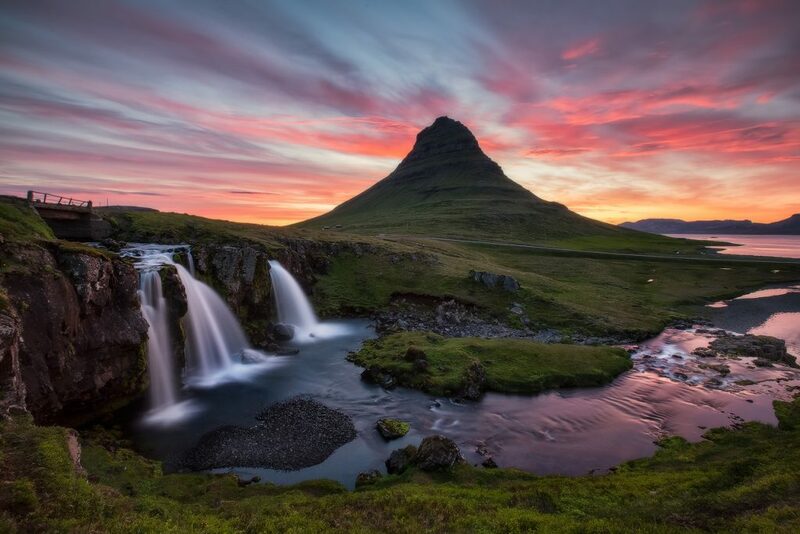 We are very proud of the beauty of Iceland and we would like others to also experience what Iceland can offer. That is why we provide a lot of tips, articles and itineraries. We also filter the best tours. We have been nominated Best Start Up in Iceland since we launched this platform and now, we are the biggest travel marketplace in Iceland. The photography found on your website and what we see from you on social media is very balanced with a wonderful blend of landscapes and astro work. I understand astro photography is your passion. For folks reading this interview, who haven’t tried their hand at astro as of yet, what is one piece of advice you’d lend to them? The best advice that I can impart to those trying their hand in astrophotography would be to learn the functions and limitations of their camera inside out. You really need to know the capabilities of your gear (ie: ISO performance). This will aid in achieving a high quality shot which is essential to proper night photography. It’s also vital to know where to focus, given the distance and the elements in the frame. You’ll need to know whether infinity focus would suffice or would you need to focus stack if you’re going after a substantial foreground. Keep these tips in mind and you will be shooting astrophotography in no time! It has to be the construction. RRS is a premium luxury super car. The build quality is top notch, which lends to the overall performance and endurance of the product when working exposed to the elements. I also would like to note the proper use of ergonomics in product design which is essential in providing superior ease of use. If we could go get our hands on your camera bag, what might we find in there? Two camera bodies (one for back up), and around 4-5 lenses. Another piece of advice is that by using different focal lengths, you’ll train your eye to develop new and unique compositions. My favorite lens would be the 16-35 UWA . In my bag, you’ll also come across a CPL, ND, GND filters and their respective holders, a cleaning cloth, wind & rain sleeves, intervalometers, extra batteries, cleaning accessories & some simple tools for emergency use. As a bonus I keep some power bars there just in case I would like to stay much longer at a scene to chance something marvelous. I actually enjoy it when I see the awe in their eyes when they see the landscapes of Iceland. Plus, of course when they start capturing it and checking their camera shots and they get very excited. So I guess, what I like most about guiding people through Iceland is the joy it can bring to guests. We also do post processing lectures in workshops so even the joy of them learning gives me so much pleasure and gives me assurance that the tour is successful. We’re so intrigued by the ice caves. Are they found in abundance in Iceland? How expansive are they? It depends on how the weather has been behaving and there might be no exact prediction model for them. Some years you can have multiple caves, some years less than that. These are Ice Caves which are “easy to moderate” travel to access. Of course there would be more caves around the glaciers, but we simply to not have enough manpower to search them all out. Ice Caves can reach lengths of up to 200 meters long. 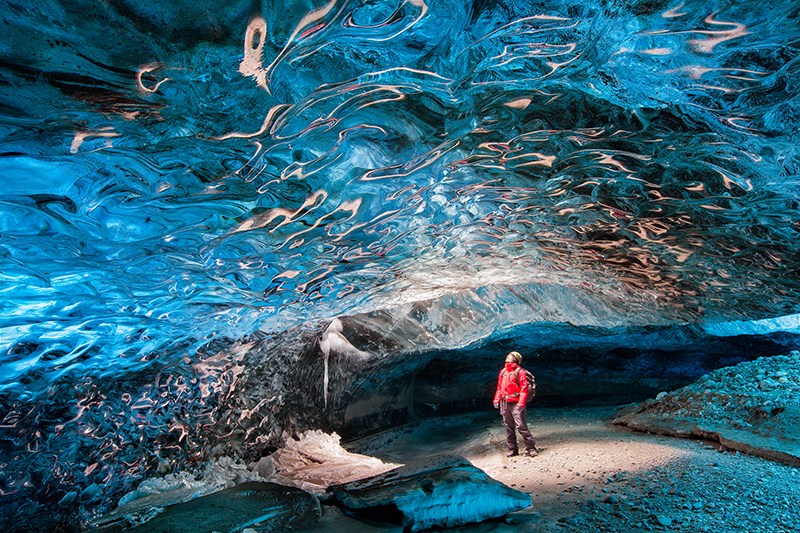 What are some of the challenges a photographer faces photographing ice caves? Believe it or not Ice Caves are relatively pleasant. Temperature of Ice Caves in Iceland are stable at 0 to minus 1 degrees, and of course since it would be a winter visit, it is almost always colder out in the open. This is a tough question and the answer would be that it depends on what your vision is. Some people like to get sunset or sunrise color with an Ice Cave, while others prefer when the caves are perfectly blue with brighter light, mixed with Northern Lights and Astrophotography and you have something really cool as well. If you know what you want, then that would be the right answer. Ice Caves are so unique and spectacular that it is just a treat to visit and take images anytime of day. 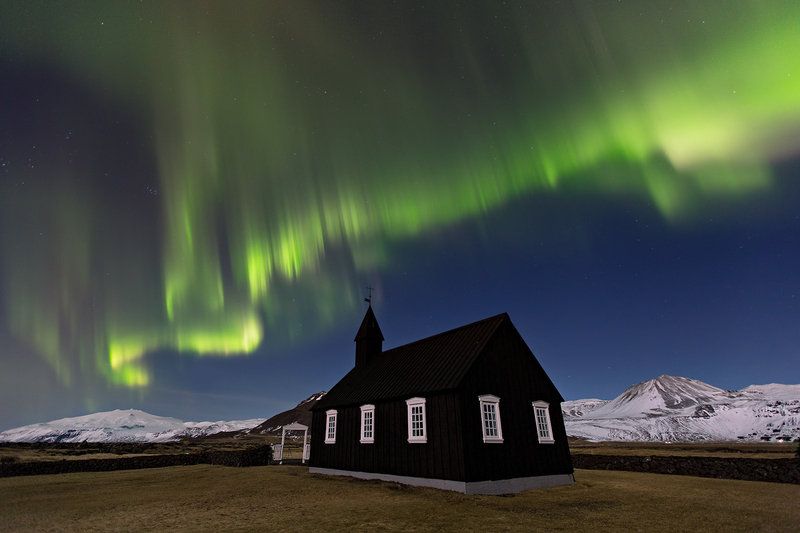 If folks are planning a trip to Iceland what would you recommend is the best time to visit? This is difficult to answer because every season is beautiful for me and it has its own advantages. Of course, if you want to see Aurora Borealis, then it should be September to April. If you want Ice Caves, then it should be November to March. If you don’t want to be too cold, then take the summer, from May to August and you will experience the great view of the Midnight Sun. 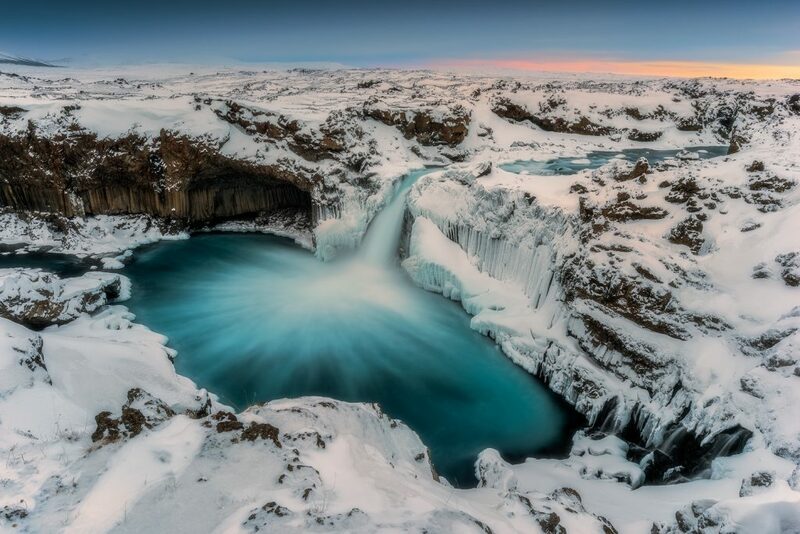 You’ve clearly found great success not only by being highly sought after as an expert on Iceland, your exceptional photography but also you’re doing something you’re highly passionate about. What’s next for you? I am trying to expand my photo tours and workshops around the world so in 2016 – 2017 we will visit more international destinations like: Patagonia, New Zealand, Japan, Svalbard, Namibia, Greenland, etc. So expect that I will be discovering more places and take home new photographs from various countries. If you could leave one piece of advice for those reading this interview who are photographers, what would you share with them? There is no shortcut to success. If you really want to be good in photography, then you should go out and practice a lot, start learning how to shoot properly in good light and don’t forget that the most important in landscape photography is the light and composition. 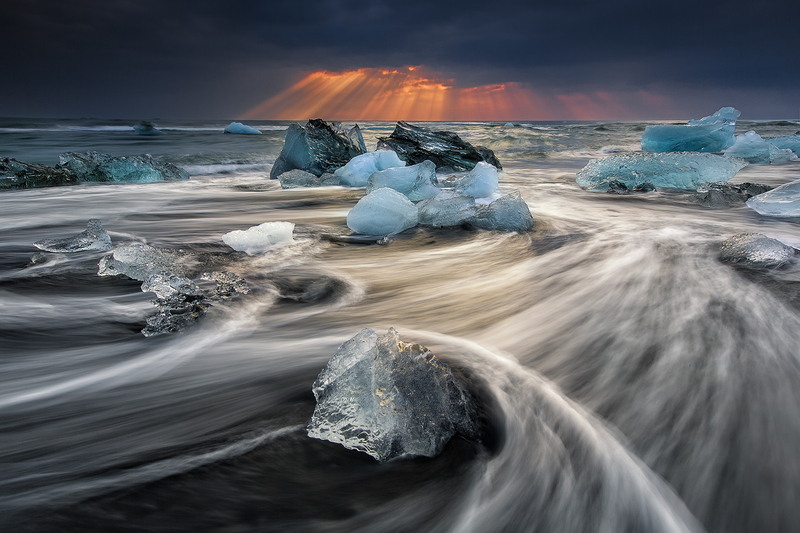 Iurie Belegurschi is CEO & Founder at Iceland Photo Tours and is Co-founder at Guide to Iceland. Iurie’s two main passions in life are photography and travelling. He is a big fan of winterscapes and night photography, with the latter being his most desired activity. 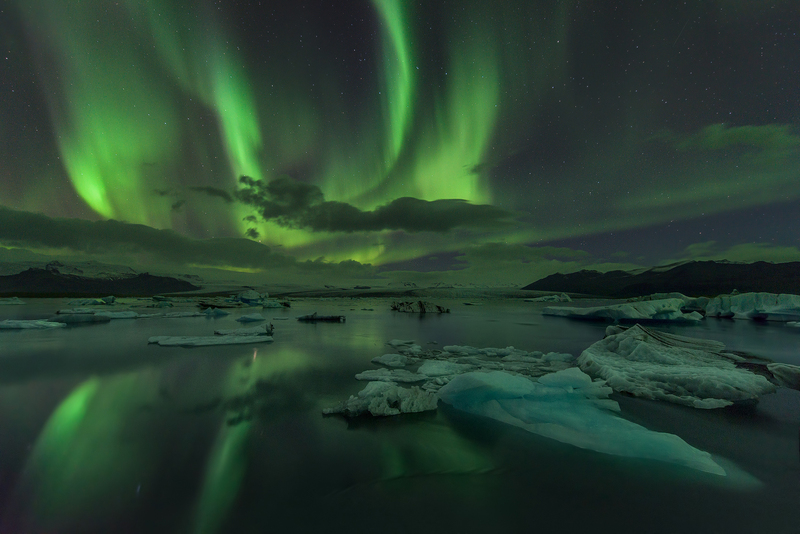 Capturing starry nights and the elusive Aurora Borealis is something that gives him a sense of fulfillment and peace. Living in Iceland and having this interest, is a match made in heaven.